A storm brought heavy rain and some snow to parts of the Northeast on Friday. 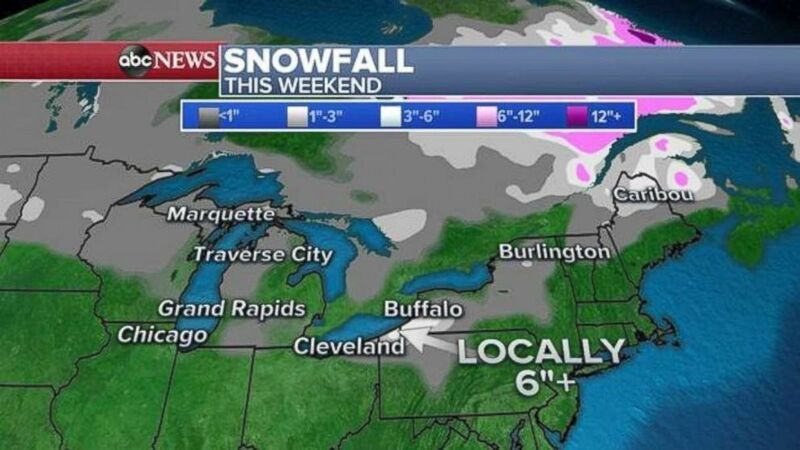 As much as half a foot of snow could fall along northeast Lake Erie due to lake effect snow over the weekend. 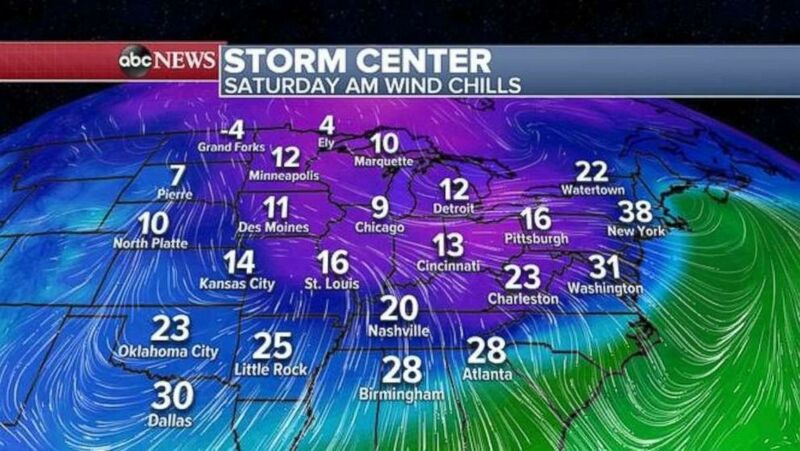 Wind chill readings are in the single digits and teens across much of the central U.S. on Saturday morning. 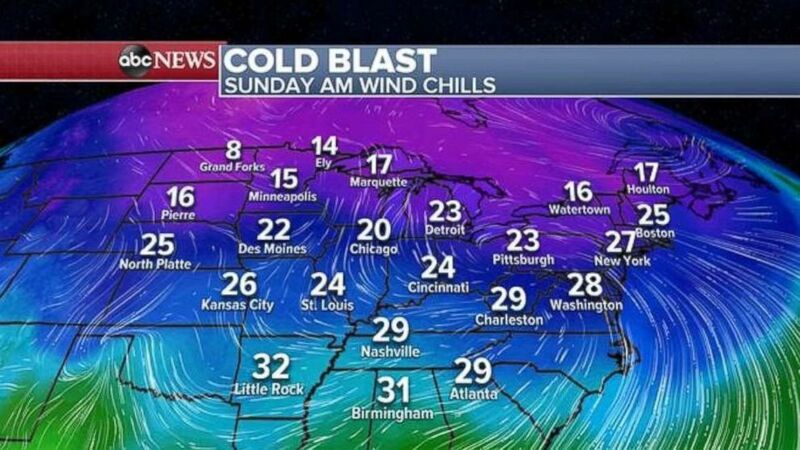 The cold blast will move into the Midwest and Northeast on Sunday morning.